I’ve had one job on the allotment that’s been outstanding for a few weeks, and that’s to lift the dahlia tubers before the frost gets to them. 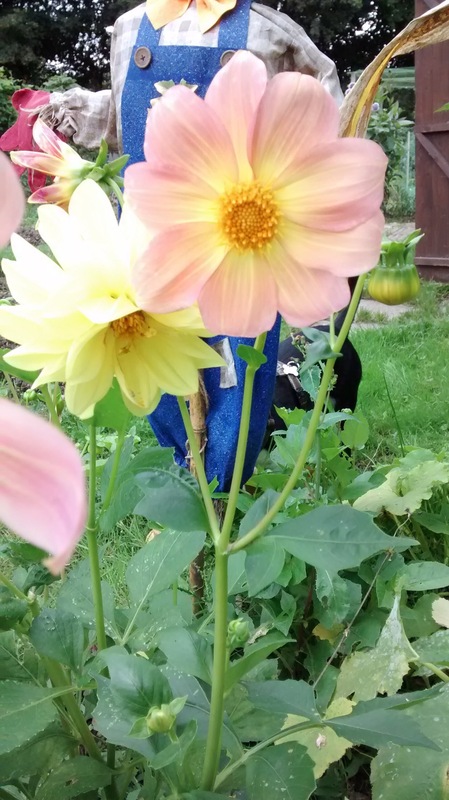 I sowed the dahlias from seed at the start of the season and they’ve been flowering well into October, but the forecast for the weekend is for frost and snow. Whilst the latter didn’t materialise, it was cold last night so I went off to th plot this morning specifically to get this task done. 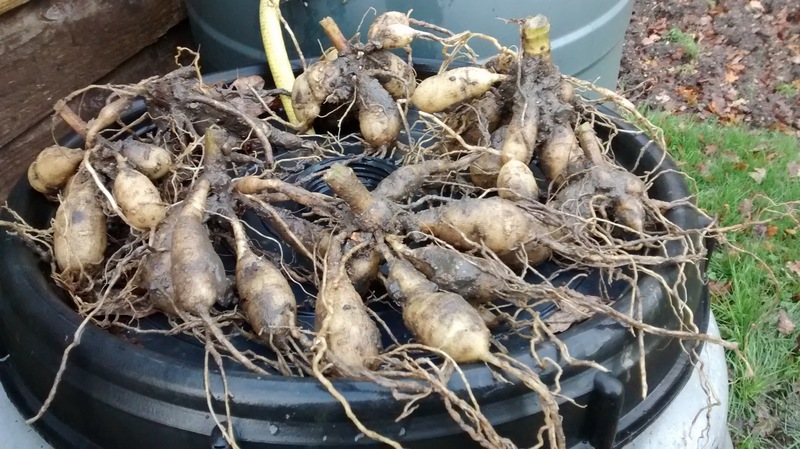 The weather was pretty unpleasant, raining, windy and cold, but it only took a matter of minutes to lift the tubers, remove the remaining top growth and excess soil and they’re ready to store until next season. They’re too small to split at present but I have got 7 tubers from my packet of seed. A job well done. This entry was posted in Garden / Allotment and tagged allotment, dahlia, dahlias, seeds, tuber. Bookmark the permalink. Good idea. We have a few gladiolus that we got out the ground last week, too. Keep up the great work!